Published: Dec. 12, 2010 at 08:06 a.m.
Maybe this is a sign that the weather gods want Brett Favre to start. 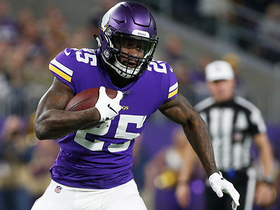 The Minnesota Vikings-New York Giants game was moved to Monday night in Detroit after the Metrodome's inflated roof collapsed in a snowstorm early Sunday morning. 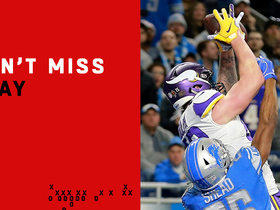 » Fox will broadcast the New York-Minnesota game, now to be played in Detroit, in both teams' local markets at 7:20 ET. The game also will be available as part of DirectTV's Sunday Ticket package. 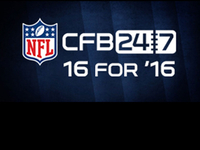 » NFL Network will re-air the game at midnight ET nationally in its entirety following the live game on Monday night. The delay has given Favre more time to heal his sprained right shoulder, with his NFL-record streak of 297 consecutive regular-season starts hanging in the balance. "Joke goin round is Gods Tryin to preserve Bretts streak record," Vikings wide receiver Bernard Berrian wrote on Twitter. "Lol!!" It might not matter. Favre has told teammates and associates that he's still unlikely to play because of his shoulder injury, NFL Network insider Jason La Canfora reported, citing sources with knowledge of the situation. The game originally was scheduled for Sunday afternoon and already had been pushed back because of the storm that dumped 17 inches of snow on Minneapolis. But Metrodome officials told the league the roof wouldn't be ready in time to play Monday or Tuesday. The league also had discussions with New Orleans, St. Louis and Indianapolis and briefly considered the University of Minnesota's outdoor stadium before deciding to hold the game at Ford Field at 7:20 p.m. ET Monday. The NFL said Detroit was the best logistical fit given that Fox camera crews already were in town for the Lions' game against the Green Bay Packers on Sunday. "There are still a lot of logistics up in the air, but we will do everything we can to make this a quality NFL game for the Vikings and Giants," Lions president Tom Lewand said. The Vikings are refunding the cost of the tickets for the game for any fans who can't make it to Detroit. Those who do will be given priority seating along the 50-yard line at Ford Field, and the Lions will distribute free general admission tickets starting at 9 a.m. ET Monday. The game will be broadcast in both local markets on Fox affiliates and also will be available as part of DirectTV's Sunday Ticket package. It will be the first Monday night game at Ford Field and the first in Michigan since the Pontiac Silverdome hosted one in 2001. No one was hurt in the Metrodome roof collapse, but it sent the league and both teams scrambling. The Giants were stranded in Kansas City after their plane was diverted there Saturday. They stayed overnight and departed for Detroit on Sunday afternoon. 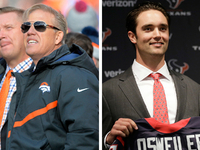 "This one presents more challenges than I can ever remember," Giants co-owner John Mara said. "We were stranded in the airport yesterday not knowing where we were going to go." Giants quarterback Eli Manning tried to lighten the mood of his restless teammates by ordering the rookies to sing and said the team will be ready come kickoff. "This is different, but I thought we've kept good spirits and good focus," Manning said. "We understand that this is an important game and it's going to come down to who treats it with a business-like mentality and stays prepared." University of Minnesota officials told the NFL that TCF Bank Stadium was shut down for the winter and would take several days to prepare for another game. Removing all the snow, figuring out how to cram 64,000 Metrodome fans into a 50,000-seat stadium, and the fact that the Giants didn't bring any cold-weather gear with them all combined to make that site problematic. "The one thing I was not crazy about was playing at the University of Minnesota, where they were predicting the wind chill would be minus-11," Mara said. "That would have created a lot of issues for us." Metropolitan Sports Facilities Commission chairman Roy Terwilliger said he's optimistic the Metrodome's roof can be repaired in time for the Vikings to host the Chicago Bears in their next scheduled home game on Monday, Dec. 20. There's a lot of work to be done before then, considering the scene inside the darkened stadium Sunday morning after the collapse about 5 a.m. Snow fell onto the artificial turf through a gaping hole above the 30-yard line, as a piece of the Teflon-coated fiberglass roof roughly 10 yards long flapped in the wind. It glowed eerily in the sunlight, hovering not too far above the field. Speakers that hang from the roof remained safely above the seats and the field, with no indication that a collapse with people inside would have caused any injuries. MSFC director of facilities and engineering Steve Maki was working with the original manufacturer of the material on a plan to fix the roof, which is supported by 20 90-horsepower fans and weighs roughly 580,000 pounds. "This just came very fast. It was heavily loaded, and the wind was just unbelievable," said Maki, who halted snow removal and called his workers down from the roof Saturday night out of concern for safety. Minneapolis received 17.1 inches of snow during the storm that started Friday night and ended around 10 p.m. Saturday, said James McQuirter, a National Weather Service meteorologist. He said the storm was one of the five largest to hit the Twin Cities. Some surrounding communities received more than 21 inches of snow, he said. The roof collapse is a fitting metaphor in a trying season for the Vikings that has included the firing of coach Brad Childress, the investigation of Favre for allegedly sending inappropriate messages to a New York Jets employee in 2008 and the disappointing play of a 5-7 team that had Super Bowl aspirations. "I think this is officially the craziest season ever; now the roof collapses at the metrodome," Vikings defensive end Brian Robison tweeted. "Can't wait to see what happens now. Let's make it even crazier and just take the roof off and play outside." Tweeted punter Chris Kluwe: "Just when you think you've seen it all, there's always tomorrow." Favre has barely practiced all week. 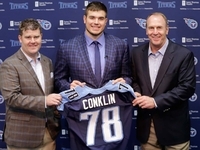 He's listed as questionable for the game after being hit hard and slammed to the turf on his first pass of last week's game against the Buffalo Bills. Vikings interim coach Leslie Frazier said Friday that Favre would have to show the team he can make all the throws in a pregame workout before he was cleared to play. Favre sent a text message to ESPN on Sunday morning, saying he wouldn't have been able to play had the game been held Sunday. 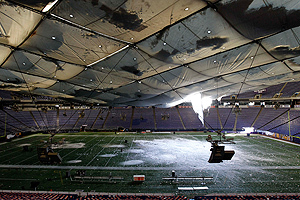 It's the fourth time in the Metrodome's 29-year history that the roof has collapsed. The roof tore open, spilling tons of snow onto the playing field and erasing the familiar puffy white top from the east side of the downtown skyline. The only time before Sunday that a game at the Metrodome has been postponed because of roof failure was April 14, 1983, when a baseball game between the Minnesota Twins and California Angels had to be rescheduled. The Giants clearly must be tired of these trips to Minnesota. 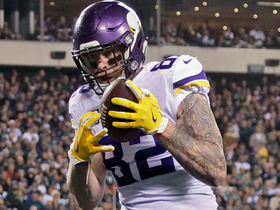 The Vikings and Giants are set to play for the ninth time in the last 10 regular seasons, a scheduling quirk that has slated seven of those meetings -- this year would have been three in a row -- for Minnesota. The Vikings have beaten the Giants four consecutive times. "They have really taken it in stride very well," Mara said of the Giants' players. "They have been laughing and joking about it. 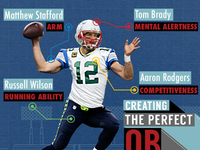 They have taken it about as well as possibly can be expected, and that includes the head coach by the way." Gil Brandt recalled the first time there was a hole in the Metrodome roof, Tony Dorsett set an NFL record in that game. The Vikings, however, might not be in such good spirits even after the roof is fixed. "I have to believe there will be some losses. I think it also bolsters their argument why they need a new stadium," Mara said. "For this to happen nowadays is pretty incredible." The Vikings have been lobbying for legislative support for a new facility for more than a decade. Their lease at the Metrodome runs through the 2011 season. The Vikings previously pledged roughly one-third of the cost for a new stadium, estimated at $700 million or far more. But the team has had difficulty getting much traction with the state legislature on public funding to pay for the rest, with lawmakers pointing to huge state deficits that need to be addressed first. The team has been contacted by two Los Angeles-based groups interested in bringing the NFL back to the city, but so far, it has said it remains "committed to finding a solution in Minnesota." 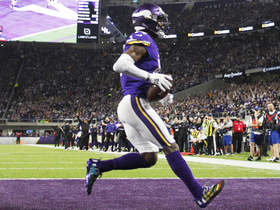 "The Vikings' main concern is the safety of our fans and those working within the Metrodome -- fortunately there were no injuries when the roof collapsed," Lester Bagley, the team's vice president of public affairs and stadium development, said in a statement Sunday. "It is not appropriate to discuss the new stadium issue today. Those conversations will occur in due time."